You are looking for opening speech on church choir activities? The church choir activities may include choir practice,singing or choir concert. 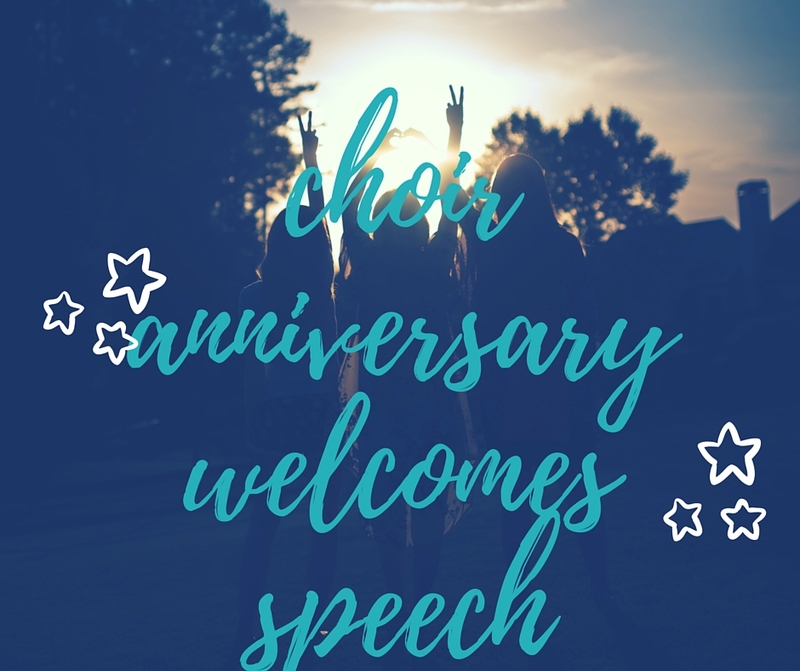 We thank you for visiting our page for sample speech and we are readily supplying you with examples that can guide you as you prepare to give an opening speech soon for the church choir activities. We hope the samples below will serve the purpose and help you get what you are looking for. The most important thing to know is that we are only guiding you. Let me take this opportunity to welcome all of you to today's practice, the Lord has been merciful to us since we left here and let us thank Him again for allowing and enabling us to meet again here today to praise Him through songs. We have seen His hand to each and every one of us and He has always remained faithful to us. we want to thank our heavenly Father for this wonderful opportunity He has given us to be here today,let me take this chance to welcome you to our annual church concert and as we begin ,i want to pray that God is love be shown to us until we finish. Let me take this opportunity that God has given us today as we worship together to praise and glorify His name. stay blessed as you listen. If you depend on the Holy spirit, you will have the confidence to share with others what God intended you to speak. We appreciate you once again for visiting our page and our work here is to make sure you have gotten what you are looking for. If you didn't get the required speech you wanted, please don't hesitate to contact us so that we can supply to you. We hope the above speech has served the intended purpose. We want to wish you all the best as you plan the church choir activities and as even give the required speech. May our heavenly Father be with you and fill you with the Holy Spirit during the occasion.